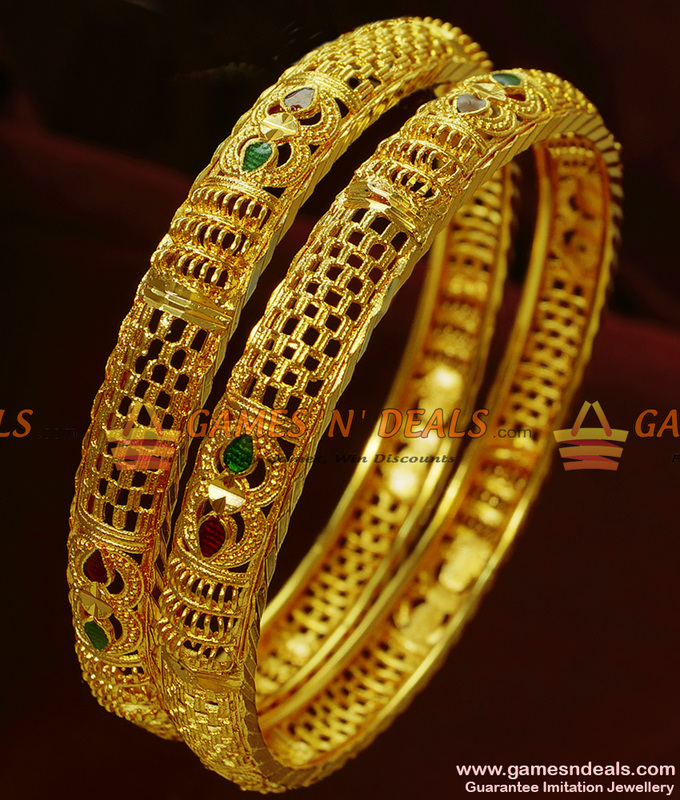 Chidambaram 24ct Pure Gold Plated Kerala Type Enamel Design Guarantee Bangle. 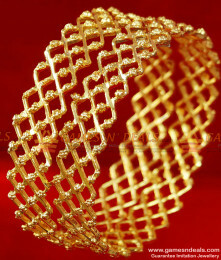 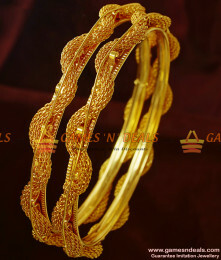 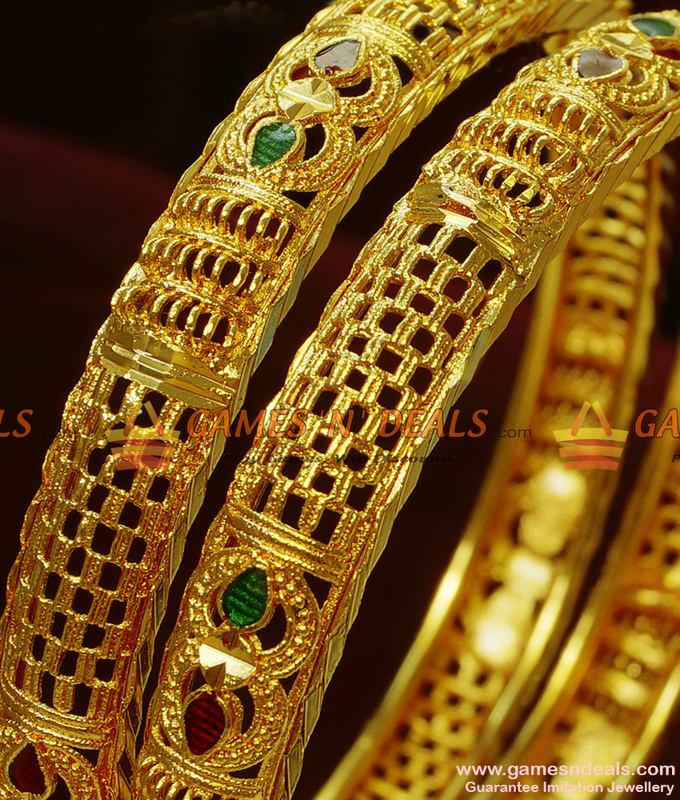 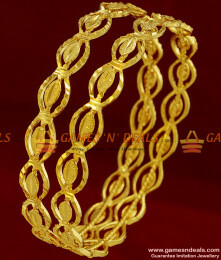 These traditional party wear are crafted with excellent care, giving the look of real gold bangles. 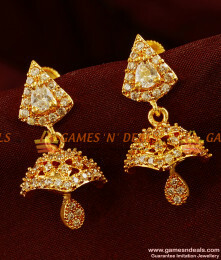 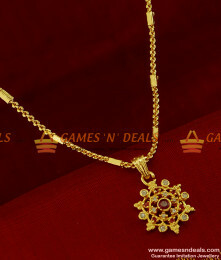 Comes with enamel touch and imitates just like real gold jewelry. 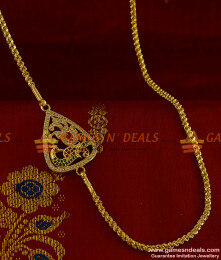 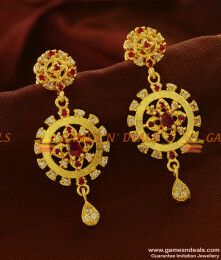 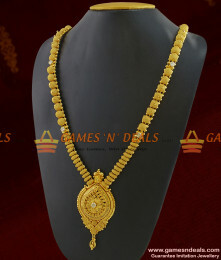 It can be used with the combination of harams and chains which gives traditional look. 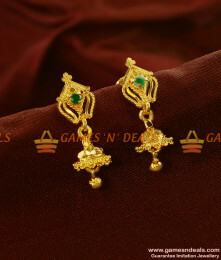 Matches perfectly with you silk and party wear sarees. 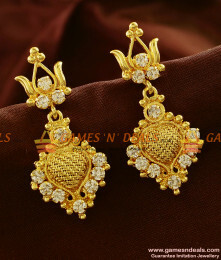 Used for occasions like receptions, college farewell, marriage and other religious ceremonies. 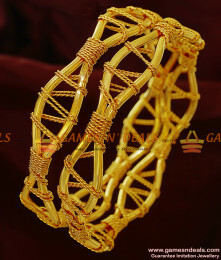 Size of the bangle is mentioned in the title. 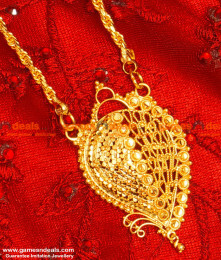 Keep it away from perfumes to get longer life.